The Conversation Starters with God Journal, a guide for Christian Prayer, jump-starts your prayer times. The tips, tools and beautiful artwork make it easy for prayer to become a powerful part of your daily routine. When you purchase the Prayer Journal, you receive tools to use either individually, or with a small group. The Prayer Journal Includes: Bible Selections featured in categories: Seek, Praise, Repent, Give Thanks, Ask and Receive. The journal is designed to help you pray scripture and will benefit any personality style or spiritual maturity level. Artwork and cover was designed by Timothy Botts. Author is Lana Trent. Free Bible Explorer Bible Windows Software is also included. All proceeds go to Aids Orphans in Africa. Great service and awesome product!! 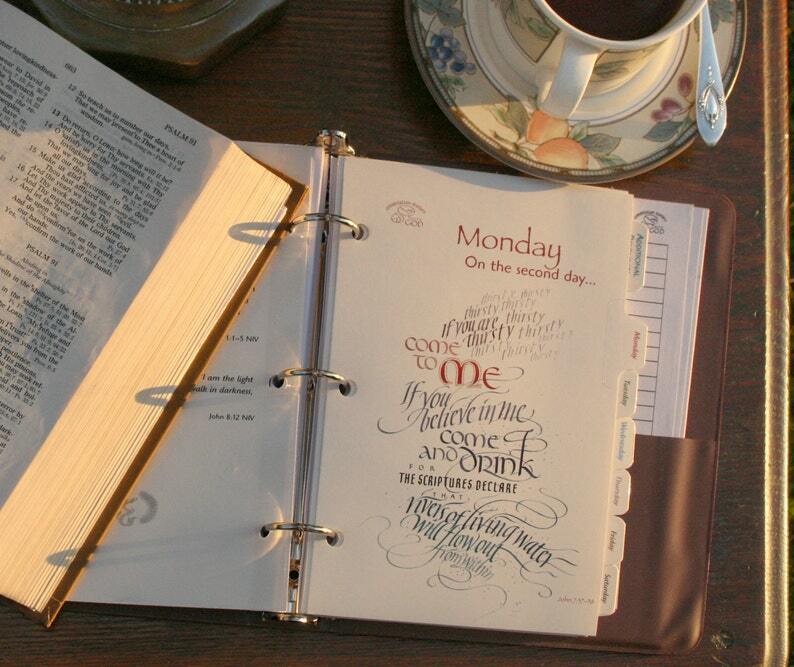 This is a wonderful prayer notebook! It is well made and the artwork by Timothy Botts is superb. I like the way it's laid out, with the days of the week tabs corresponding with the weekly days on the calendar, with Sunday the first day and Saturday the last day. I'm very happy with my purchase. Thank you! Lana did a great job with this prayer Journal..it is beautiful and very well organized and detailed. I bought this for a gift and am sure it will be very appreciated.